Courtesy of John Daugherty, REALTORS. Refined River Oaks grandeur meets timeliness European design in this exceptional estate situated on an acre in prestigious Tall Timbers. Fabulous floor plan awaiting customization consists of an elegant Entrance Hall opening to grand galleries and regal reception spaces offering impressive scale and views of the serene setting. Banquet-sized Formals. Paneled Library. Butler’s Pantry. Wet Bar. Island Kitchen opens to Morning Room and spacious Den. Master Suite up with private terrace, adjoining study, and separate baths with sizable dressing rooms. 4 Guest Bedrooms. 2 Staircases. 4 Fireplaces. Ample Attic Storage. 3 car attached Garage and connected ground-level Guest Quarters beyond. Spectacular setting boasts an expansive veranda and northern lawn overlooking the swimming pool and surrounding gardens. Please, send me more information on this property: MLS# 40071524 – $8,750,000 – 3950 Inverness Drive, Houston, TX 77019. 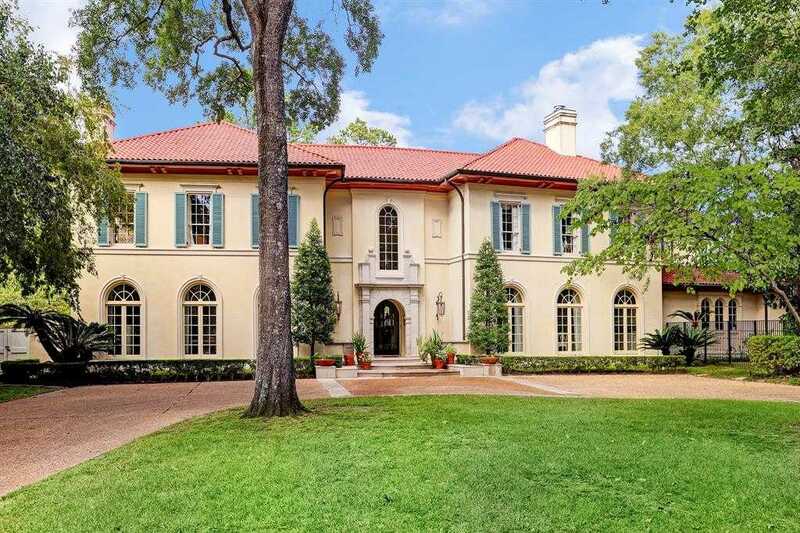 I would like to schedule a private showing for this property: MLS# 40071524 – $8,750,000 – 3950 Inverness Drive, Houston, TX 77019.